With the Stainless steel under mount sink . And cook top . Beautiful kitchen design , And very nice color contrast with this Natural granite color . Smooth and shiny Water Fall edge . Also included the 4″ back splashes . 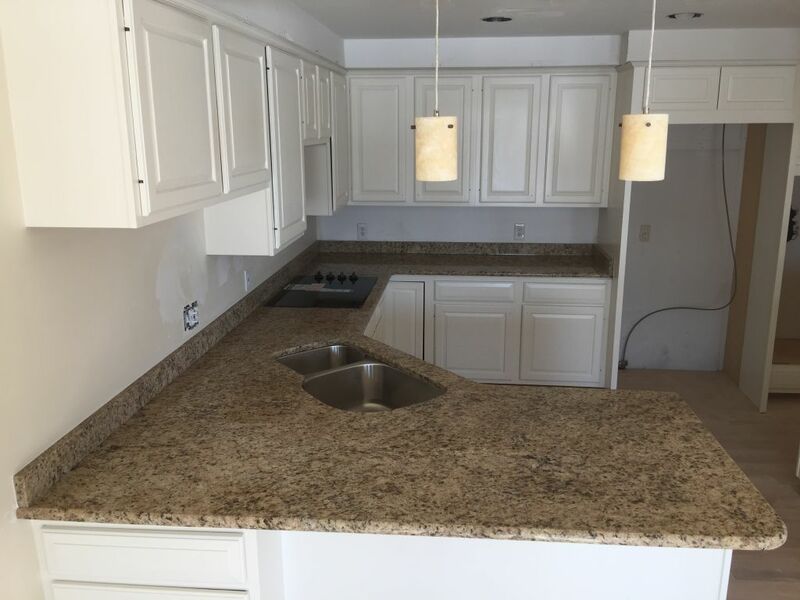 This project was preformed for a rental property located in Birmingham,Michigan .